Michael Pollard and Mensa, an OTTB who won over $92,000. Photo by Jenni Autry. As I chatted along in the EN Live Blog this weekend, I tried to include pedigrees of the Thoroughbreds competing at Rolex this weekend. Now that the event is over, let’s take a look at their breeding and see what they share. 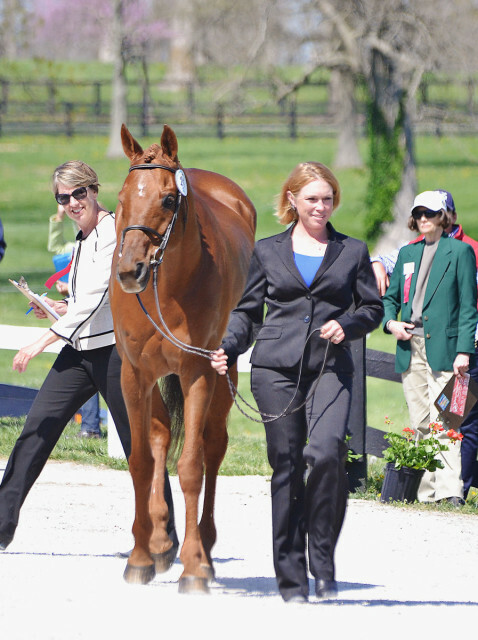 When I look at pedigrees of established horses, I tend to focus on the third and fourth generation; that’s probably where most of the common names will be found and is sometimes known as the “engine room” of a pedigree. 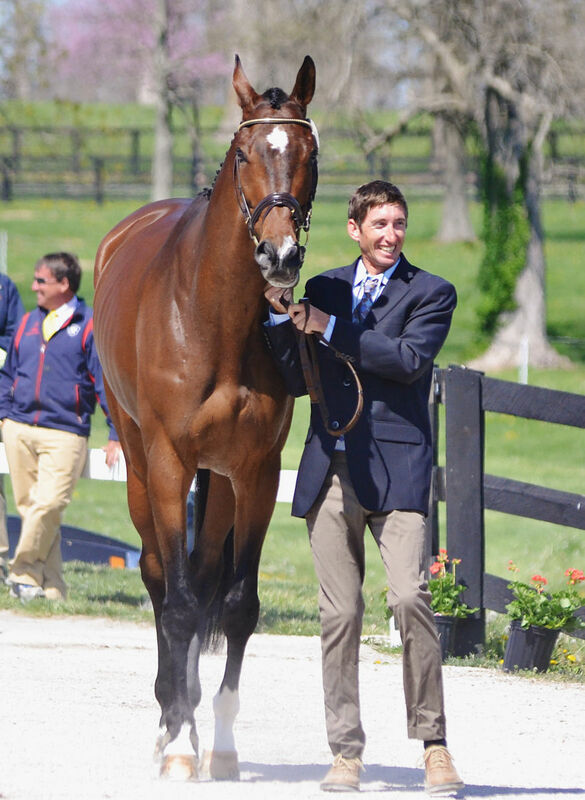 Conversely, looking at a pedigree of a young, prospect horse, I pay more attention to the first/second/third generation, which will be more responsible for phenotype and predict what the youngster will grow up like. In no particular order, here are the pedigrees I could find of the Thoroughbreds competing at Rolex this year. 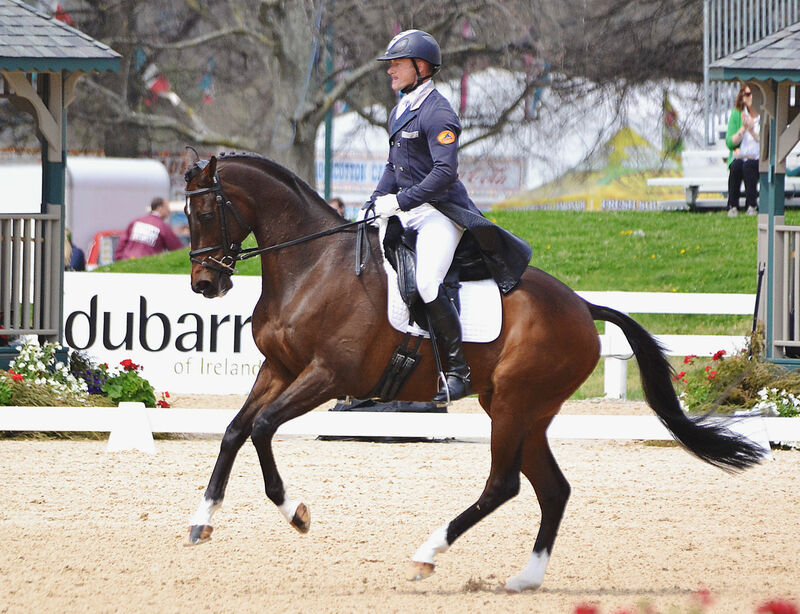 Some horses’ information was unavailable from the Rolex entry list (like Tsunami) so I could not include them here. Click each horse’s name for their pedigree. Libby and Sir Rockstar. Photo by Jenni Autry. 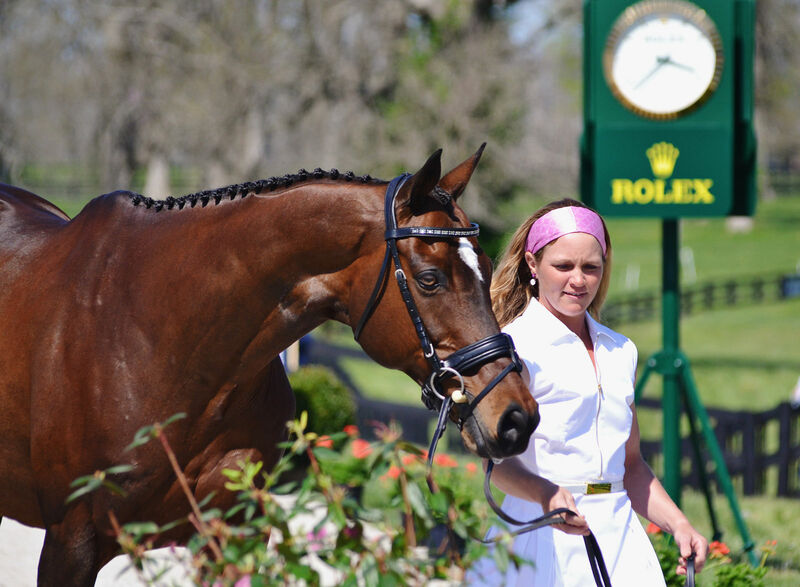 Libby Head and Sir Rockstar had a fantastic weekend at their first four-star, moving all the way up to finish 19th with a clear round on cross country and double clear in show jumping. This little powerhouse is only 15.1 hands, but he makes the big jumps look easy. Sir Rockstar is by Rockamundo, a son of Key To The Mint out of a Nijinsky daughter, and out of How Unusual (by Great Sun out of a Jester mare). This is a pretty old pedigree, with three grandparents born in the ’60s, so you’ll see a lot of good names up quite close, namely, Key to the Mint (Graustark/Ribot), Nijinsky/Northern Dancer, Bold Ruler, Tom Fool and No Trouble. Meghan O’Donoghue and Pirate. Photo by Alec Thayer. Pirate and Meghan O’Donoghue smoked the cross-country again this year. Pirate really has an ideal Thoroughbred gallop, allowing him to finish the course so easily and effortlessly with his ground-eating stride. That’s why we love TBs! Pirate is by Pirate Stronghold (a son of Seeking The Gold), out of Stars Heir (a daughter of Risen Star, by Secretariat). He is inbred to Vice Regent 3Sx3D, both through a female line, and to Somethingroyal (4Dx5D). Inbreeding to a dam is fairly rare, so it’s often a good thing to find, especially when it’s a fantastic mare like the dam of Secretariat. Pirate shows some very familiar sire names down the fourth generation: Raise A Native, Buckpasser, Northern Dancer, Nodouble, Bold Ruler, His Majesty, Northern Dancer again and Sir Gaylord. Can’t get much better than that for an OTTB turned sport horse. Emily Beshear and Here’s To You. Photo by Jenni Autry. 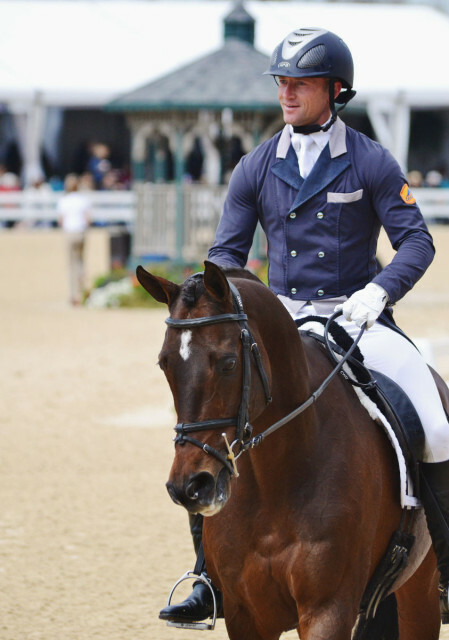 Here’s To You and Emily Beshear didn’t have a good weekend at Rolex this year, but “Quincy” is a gorgeous animal just waiting to fully prove himself at the four-star level. Here’s To You is by Will’s Way (a son of Easy Goer, by Alydar) and out of China Sky (by Skywalker). Once again, a quick scan down the fourth generation sires gives a bunch more names you’ll recognize: Raise A Native, Buckpasser, Intentionally, Hoist The Flag, In Reality (by Intentionally), Damascus and Nodouble. Rachel McDonough and Irish Rhythm. Photo by Jenni Autry. 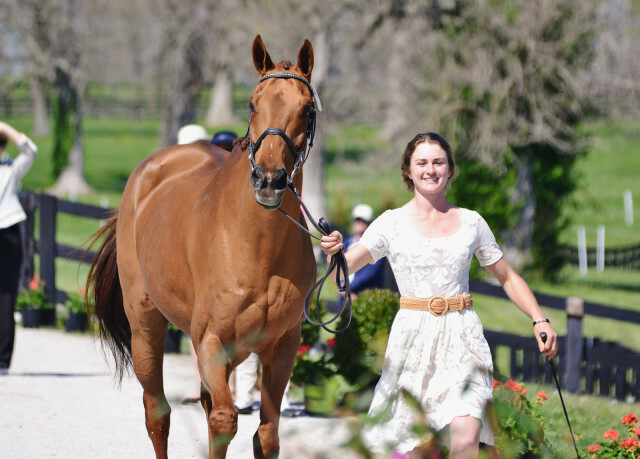 Irish Rhythm was another Rolex first-timer with Rachel McDonough who went double clear on cross-country. He is by Vice Chancellor (by Vice Regent, remember him from Pirate’s pedigree? ), and out of Dawnsari (by Dawn Flight). This is another old pedigree, with grandparents from the 60s. Irish Rhythm’s pedigree is completely free of inbreeding, with a lot of foreign influence (CAN, GB, ITY, FR and ARG). His third and fourth generations include Northern Dancer, Grey Dawn/Herbager and Prince John. James Alliston and Parker. Photo by Jenni Autry. 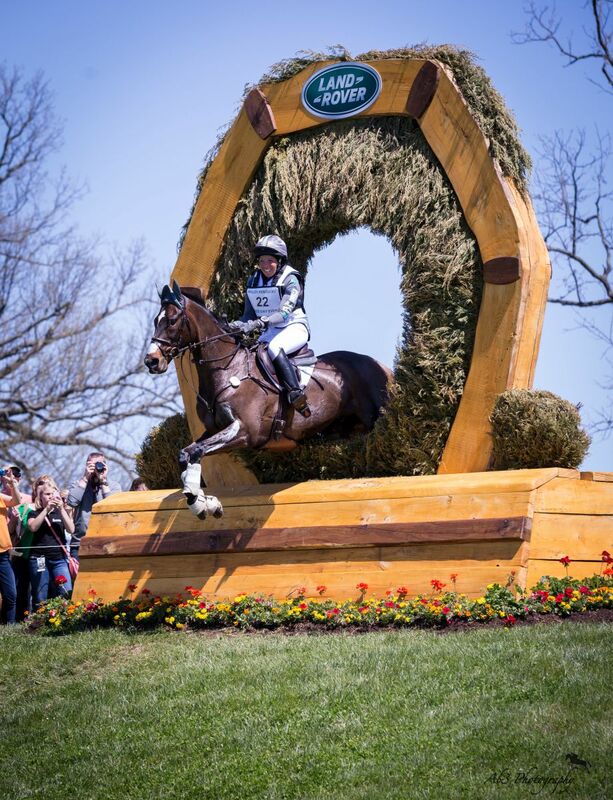 Parker and James Alliston are no strangers to eventing’s upper levels, and it was evident on cross country at Rolex. The pair blazed around the course, finishing on the fastest time of the day. With a couple rails in show jumping, they ended in 22nd place. Parker is by Marquetry (by Conquistador Cielo); Marquetry is often known for splashy white markings, so Parker’s small star and socks is pretty tame. He is out of Hello Mom, by Caveat. You’ll also notice names like Mr. Prospector, Vice Regent, Cannonade, Raise A Native, Bold Commander, Northern Dancer, Never Bend, Bold Bidder, The Axe and Olympia. Colleen Rutledge and Shiraz. Photo by Jenni Autry. Shiraz put in a good effort in dressage and rocked around cross country double clear. While a strained shoulder kept him from completing the event, he has proven himself time and again at the four-star level. Shiraz is by Gallapiat (by Buckpasser), out of Bold Blossom (by Fountain of Gold). Going through his third and fourth generations, you’ll see Tom Fool, Sir Gaylord, Mr. Prospector, Boldnesian, War Admiral, Turn-To, Somethingroyal, My Babu, Raise A Native and Bold Ruler. Are you starting to notice some trends yet? Katie Frei and Houdini. Photo by Jenni Autry. Houdini was one of the younger Rolex first-timers, and he really impressed Karen O’Connor with his athleticism and type. Ridden by Katie Frei, Houdini was a bit green at times but looks like a super horse for the future. This 10-year-old gelding is by Hot Rock (by Geiger Counter, a son of Mr. Prospector) out of Nancy’s Star (by Big Sal, by In Reality). Houdini’s fourth generation includes Raise A Native (twice), Citation, Nearctic, Intentionally and Riva Ridge. Kaitlin Spurlock and Expedience. Photo by Jenni Autry. 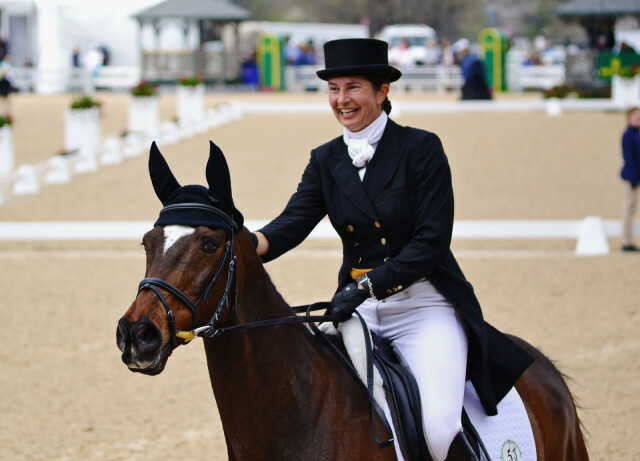 Expedience and Kaitlin Spurlock’s four-star debut was a little rough in dressage in the pouring rain, and then their good cross-country round was cut short when the mare suffered an unfortunate injury at the Head of the Lake. Seventeen-year-old “Spedy” has been a steady campaigner at the Advanced level and has earned a great retirement when her broken foot heals. She is by Ayes Turn (by Best Turn) out of Promenador (by Cannonade). Her third and fourth generations show sires like Turn-To, Bold Bidder, Royal Charger, Swaps, Native Dancer, Bold Ruler, Ribot and Promised Land. Lindsey Oaks and Enchantez. Photo by Jenni Autry. 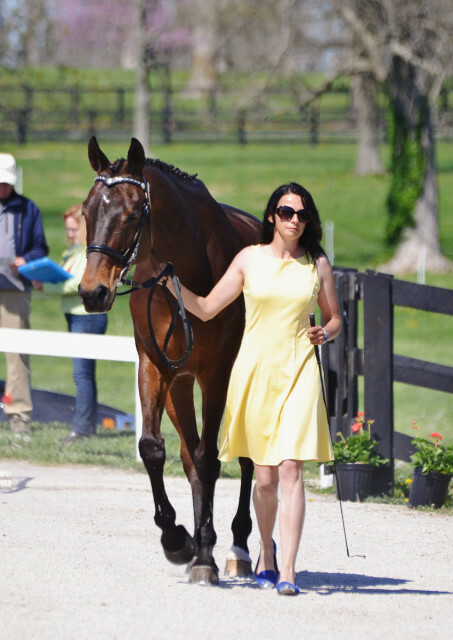 Enchantez and Lindsey Oaks put in a decent dressage test, and then things got a bit wild on cross country. After a glance off at the first water, Enchantez took aim at a Rolex sign and jumped right into the crowd! Lindsey got him back on track to finish the event. Enchantez is by Devil’s Joy (by Devil’s Bag), out of Class Reunion (by General Assembly). Looking at the third and fourth generations: Halo, Chieftain, Secretariat, Tambourine, Hail to Reason, Herbager, Bold Ruler (twice), Native Dancer, Princequillo and Sword Dancer. Enchantez has some good strength in his female relatives as well, including Ballade, Cosmah, Pocahontas, Somethingroyal and Exclusive. Rachel Jurgens and Ziggy. Photo by Jenni Autry. Rachel Jurgens and 18-year-old Ziggy had a brilliant trip on cross-country, going clear with just a few time penalties and finished 27th overall. Ziggy is by Ziggy’s Boy (by Danzig), and out of Berry Blush (by Foolish Pleasure). The engine of the pedigree includes Northern Dancer (top and bottom), What A Pleasure, Nearctic, Double Jay, Bold Ruler and Tom Fool. Kyle Carter and Madison Park. Photo by Jenni Autry. 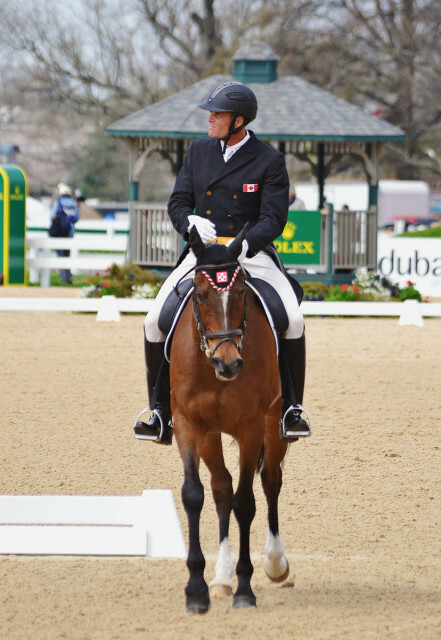 After recovering from a devastating injury to his hock, Madison Park made it all the way back to Rolex with Kyle Carter. He was looking super on the cross country until a fall at the Head of the Lake ended their weekend. Still, “Parker” has nothing left to prove at the four-star level. He is by Monaco Magic (by Alymagic), out of Mistress of Mine (by Band Practice). The third and fourth generations include Alydar, Stop The Music, Raise A Native, Never Bend, Hail To Reason (twice), Honest Pleasure and Fleeting. Kate Chadderton and Collection Pass. Photo by Jenni Autry. 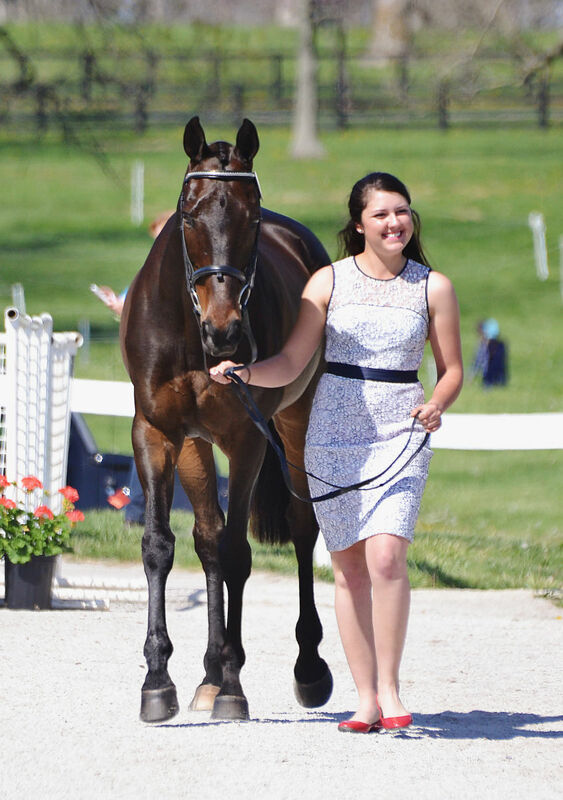 Kate Chadderton and Collection Pass weren’t on their game this time on cross country, but this 12-year-old Thoroughbred still has a big future. He also has some European influence through his sire, but the bottom half of his pedigree is classic American Thoroughbred. Collection Pass is by Collection Agent (by Dancing Master (FR)), and out of Winged Passage. His third generation features Buckfinder, Majestic Light, and a good mare, Laughter. The fourth generation shows Native Dancer, Buckpasser, Majestic Prince and Bold Ruler. Michael Pollard and Mensa G. Photo by Jenni Autry. Mensa G and Michael Pollard produced a stunning dressage test to lead Thursday’s group with a score of 49.5. Mensa went clear around his second four-star cross country, picking up two time penalties. Unfortunately, rails and time moved him from top five to a 14th place finish. This 16-year-old gelding is by Belmont winner Colonial Affair (by Belmont winner Pleasant Colony). That’s some serious distance-breeding there! Mensa is out of Fire The Secretary (by Stop The Music). Tell me if you’ve heard these names before — His Majesty, Nijinsky, Hail To Reason, Secretariat, Ribot, Northern Dancer, Raise A Native, Turn-To, Tom Fool, Bold Ruler and Somethingroyal. I think he covers a lot of bases! 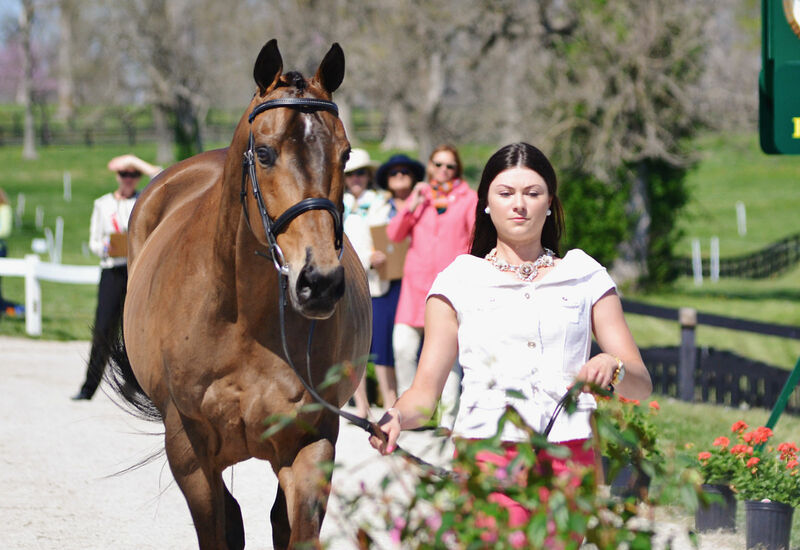 So we’ve seen a lot of common ancestors in these pedigrees of successful Thoroughbreds. 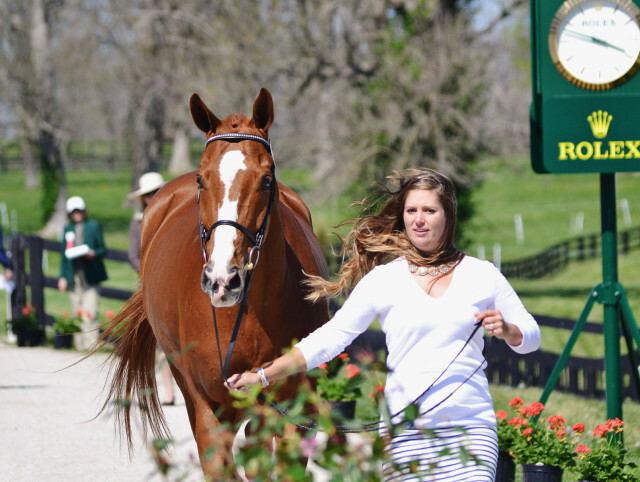 To be sure, a lot of these names will be found in ANY Thoroughbred pedigree; the fourth and fifth generations of many horses tend to run together, so U.S.-bred racehorses are sure to share a lot of sires. It’s rare as hen’s teeth nowadays to find a horse without Raise A Native or Northern Dancer somewhere. 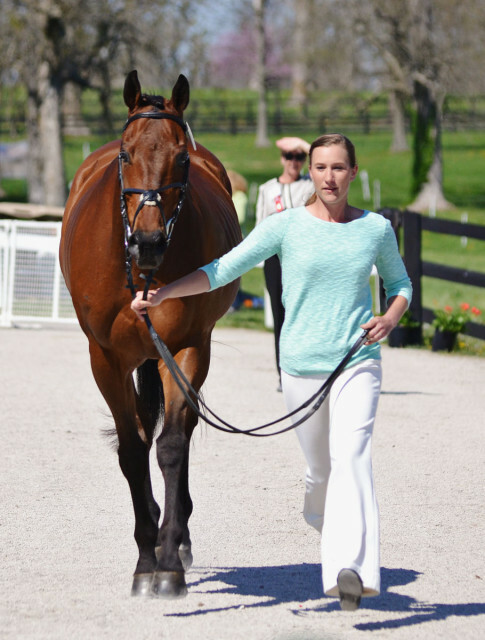 Still, studying pedigrees is a neat way to explore what makes these horses so successful — along with great training, management and super riders, of course.